Established in 1913 as a maker of engraving dies, Dallmer has since blossomed, evolving from a trade workshop into a premium architectural brand for building drainage systems. 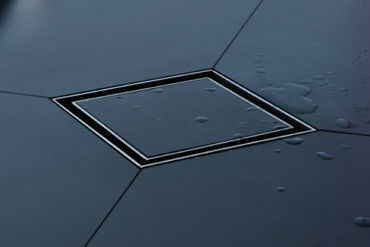 As part of its extensive product portfolio the company offers cutting-edge drainage solutions that meet the highest aesthetic standards as regards both their technology and quality. Its trailblazing wall drainage systems (think “CeraWall” launched in 2014) are not only synonymous with state-of-the-art technology, but captivate the senses with their purist and elegant design. 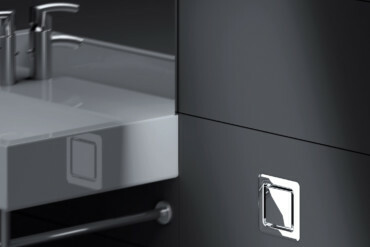 “CeraWall” is available in two different versions: There’s the “CeraWall S” model which combines a drainage housing with a 54-mm stainless steel channel (or drainage strip) to enable a striking finish in level-access showers. Or, alternatively, the “CeraWall P”, which is fitted right inside the wall and is therefore as good as invisible. Both options seamlessly blend with the bathroom design and enable customized spa architectures par excellence. 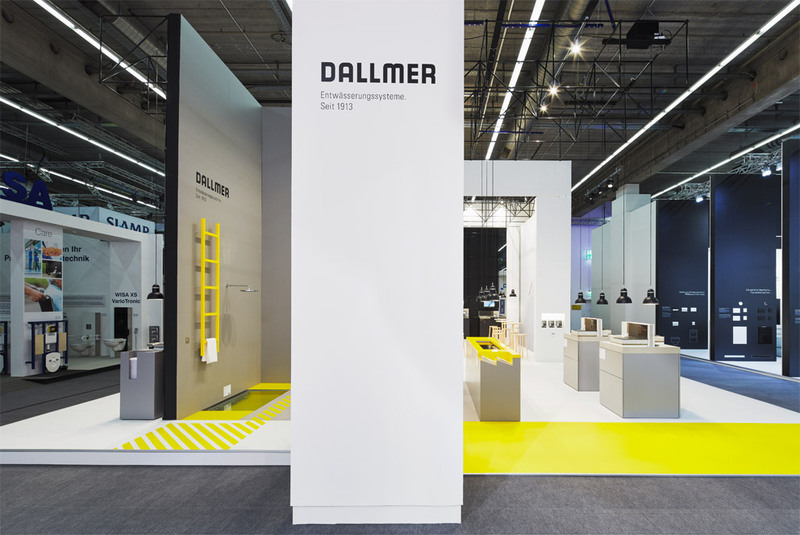 At the recent ISH, the World’s Leading Trade Fair for the Bathroom Experience, Building, Energy, Air-Conditioning Technology and Renewable Energies in Frankfurt, Dallmer offered visitors a very special peek behind the scenes. 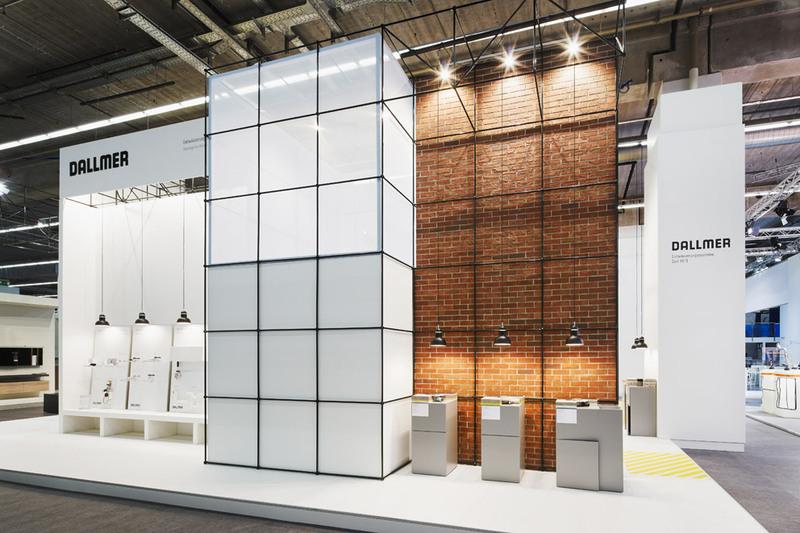 At its extraordinary 222-square-meter booth the manufacturer revealed the ins and outs of the system components usually concealed inside the wall, staging the technological details of its premium products in an architectural context with a highly artistic overall composition. The buffs at Cologne-based communications agency Meiré und Meiré were the brains behind the installation. The team comprising architects, designers and consultants designed extensive, easily visible surfaces, making clever use of the contrast between interior and exterior. 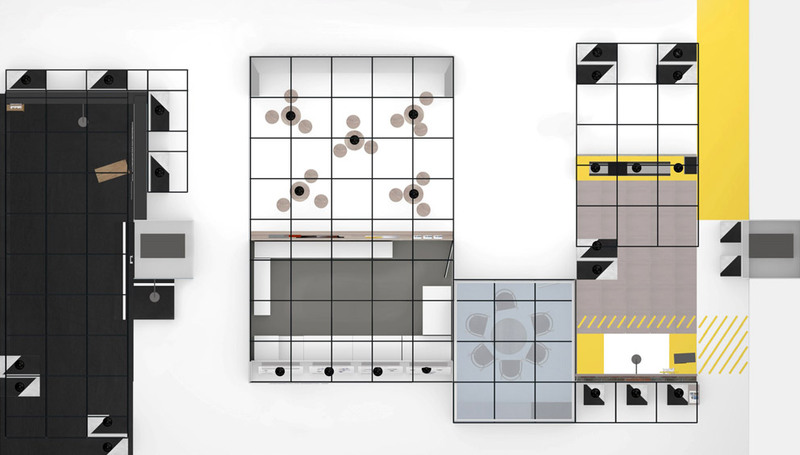 Walls in black and white serve to accentuate individual zones, enabling visitors to see the products from different angles. 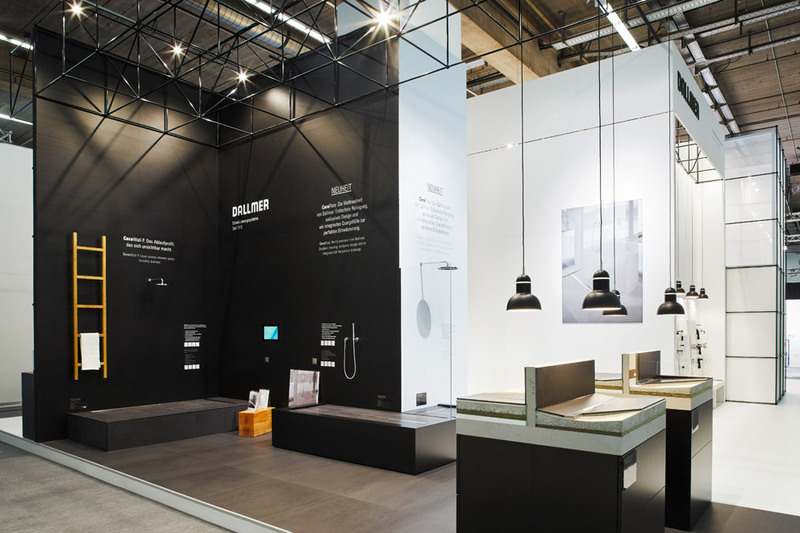 In the elegant all-black exterior space Dallmer presented its premium products including “CeraWall” and its trade-fair premiere “CeraFloor”, both of which were displayed in pools for extra inspiration. 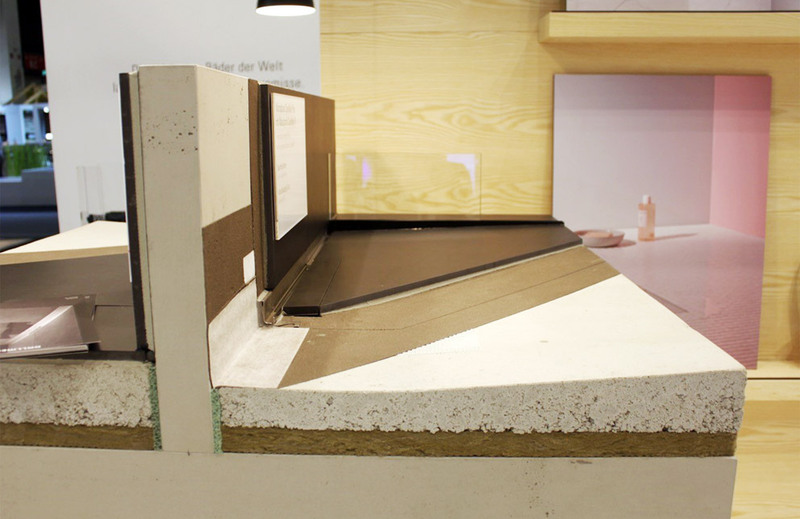 By contrast, the adjacent all-white “Technology” zone skillfully revealed how the system components are installed: Cutaway models of wall and floor elements showed ready-fitted Dallmer products to illustrate the sophisticated technology that otherwise remains concealed from the eye. 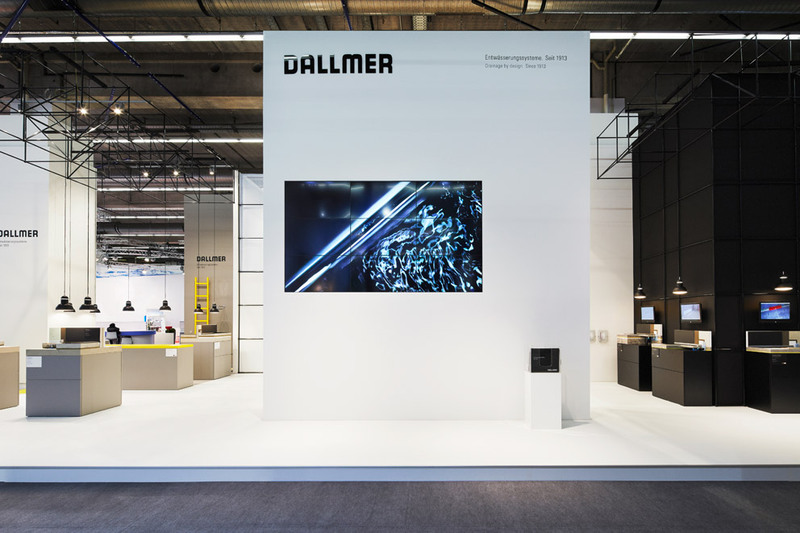 The elaborate presentation on pedestals meant that visitors were able to experience the products in 3D and paid homage to Dallmer’s engineering prowess, which can today proudly look back on a tradition that has evolved over more than a century.